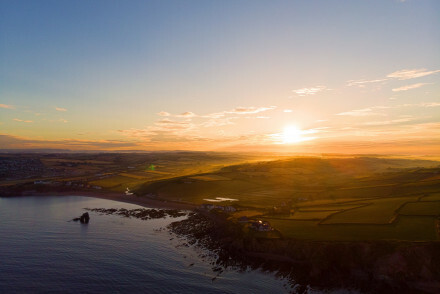 Devon's countryside is as impressive as its two very different coasts, with Dartmoor and Exmoor rising from a landscape of patchwork fields, thatched whitewashed cottages and traditional stone longhouses. 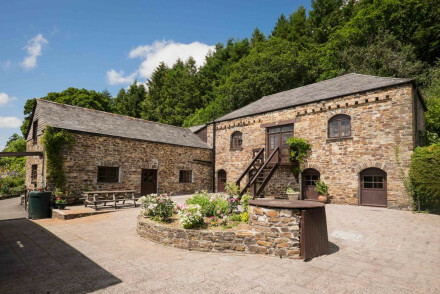 There are many appealing properties here and our pick of the best places to stay in Devon are either dramatically sited on the coast or deep in the countryside further inland. Many of them reflect the region's chic new image, whilst others are cosy old favourites. South Devon is something of a hippy enclave which has become home to a host of music festivals and alternative lifestyle centres. North Devon is home to many grand stately homes set in glorious grounds, a contrast with the dramatic natural beauty of Exmoor. 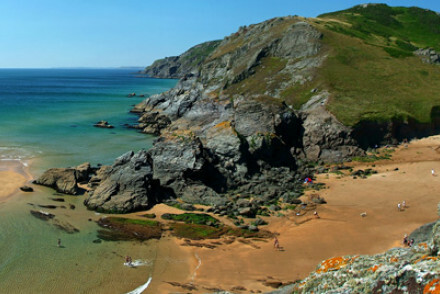 Devon boasts no fewer than two National Parks and five areas of Outstanding Natural Beauty. A UNESCO Biosphere Reserve, a UNESCO Geopark, a UNESCO World Heritage Site and two National Parks - Exmoor on the North Coast and Dartmoor towards the South. Nobody who has been to the county would be surprised at this embarrassment of UNESCO conferred riches. Perhaps the more famous of the National Parks is Dartmoor, whose rugged beauty inspired Sir Arthur Conan Doyle’s The Hound of the Baskervilles. Cyclists can enjoy the Drake's Trail and on both Exmoor and Dartmoor, herds of attractive wild ponies can be found roaming. But Devon is more than just a pretty face. A haven for outdoor activities and extreme sports, its north coast beaches with their vast expanses of sand are as popular with surfers as they are with walkers and dogs. 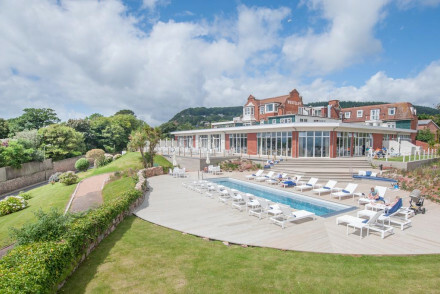 If you're coming in the busy summer months then be sure to book ahead - the best places to stay in Devon get filled up well in advance. Ilfracombe is a good choice for all ages, with a historic harbour, sandy beach and artworks by Damien Hirst! The South coast too has much to recommend it. Dartmouth and the surrounding area are quite simply stunning and an increasingly popular summer holiday destination for those who prefer not to rack up the air miles. Other favourites for the young crowd include Salcombe, whilst Torquay attracts the older set. 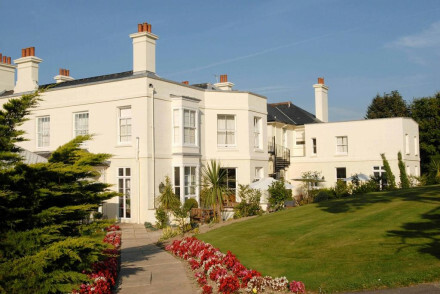 There are plenty of good places to stay in and around the Devon towns of Plymouth and Exeter. Plymouth, site of Sir Francis Drake's famous game of bowls, feels steeped in history - maritime and otherwise. Parts of the university town of Exeter date back to Roman times. 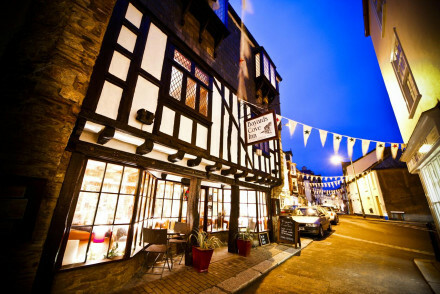 It also boasts an atmospheric high street with cobbled streets and squares housing high street and independent shops. 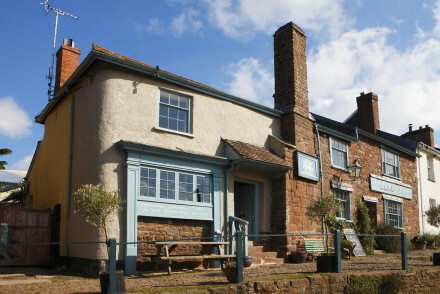 Though if you'd rather spend your evenings away from Exter's bustling student nightlife then nearby Crediton, located just 7 miles away, is a great option. Whilst utterly charming market towns of Axminster, Bridport, Chagford and Buckfastleigh are ideal for those seeing a quiet retreat. Take long walks in either (or both) of Devon's National Parks, Exmoor and Dartmoor. Embark on a scenic cycle along Drake's Trail. Explore the pastel-coloured houses, steep streets and sandy coves of pretty Salcombe. Spend a day kayaking along the River Dart. Spot seals, puffins and basking sharks on Lundy Island. This county is rich in choice when it comes to accommodation, and the best places to stay in Devon range from boutique B&Bs to chic seaside crowd pleasers to holiday cottages or apartments. There is certainly something for everyone and a range to suit all budgets. The Arundell Arms is a traditional hotel with its roots firmly in country pursuits. It comes up trumps with comfortable rooms, a really warm welcome and fab food. Come here for fishing on the Tamar or shooting in season. Percy's Country Hotel is an eco-friendly, organic restaurant with rooms in the heart of Devon, between Dartmoor and the North coast. Come here for a total chill out, great walks and fantastic food. The Henley probably boasts one of the best views on the South coast: a panoramic vista stretching from the Avon Estuary to Burgh Island. The five bedrooms are spacious and simple and make for an ideal seaside bolthole. 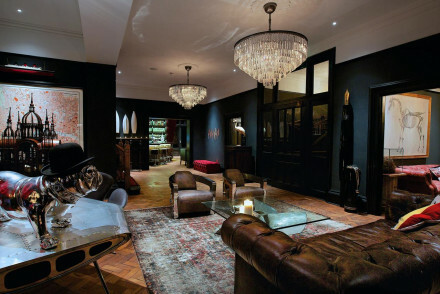 The Endsleigh is Olga Polizzi's stylish Devon pad. As you would expect, the interiors are stunning - but the property has retained the air of an old hunting or fishing lodge as per its original incarnation. 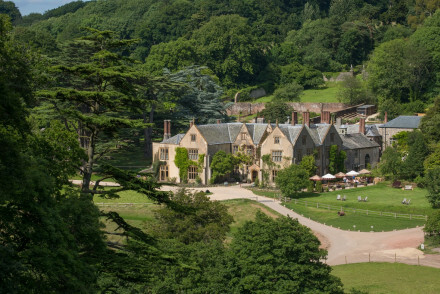 Book it simply for its stunning location in a hidden valley, surrounded by gardens designed by Humphrey Repton. The Horn of Plenty is a Georgian country house located on the edge of Dartmoor. If peace and quiet are what you're after, look no further. Plus it has great food, super comfy beds and glorious views. If a hot tub with bubbly is more your sort of romance, then check out our list of hotels with hot tubs in Devon. 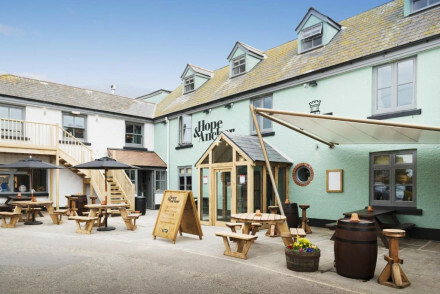 Devon is blessed with lots of cosy pubs with rooms, many in fantastic locations and most with fabulous food too. 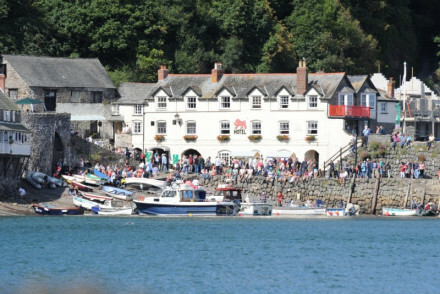 The Red Lion overlooking Clovelly harbour is one of our favourites. It's the perfect destination if you're after a spot of nostalgia, ideal for families and the restaurant serves up the best of the day's catch. 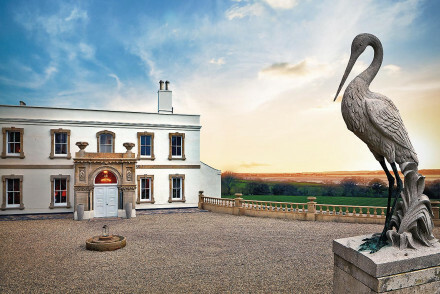 A converted manor on the edge of Exmouth National Park. 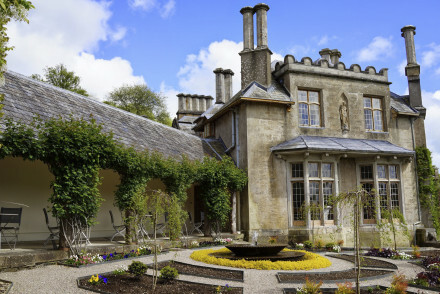 Kentisbury Grange boasts a superb restaurant by Michelin-starred chef Michael Caines. 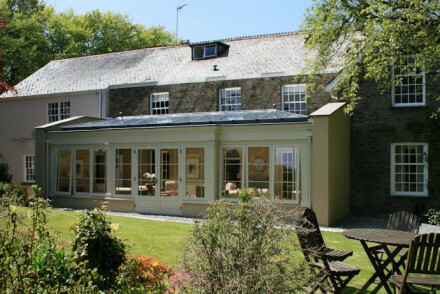 Percy's Country Hotel is an eco-friendly stay and houses a fabulous organic restaurant with rooms in the heart of rural Devon, between Dartmoor and the North coast. 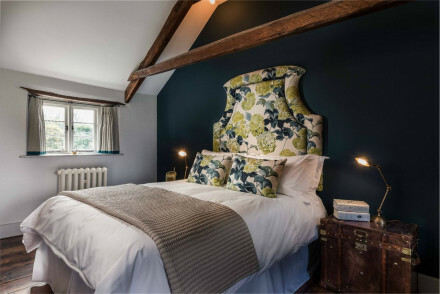 The newest addition to the Pig collection, at the Pig at Combe you'll find the trademark country chic interiors, 25 mile locally sourced menu in the restaurant, potting shed pampering, lovely gardens and gorgeous views over the surrounding area. The Rock Inn is a historic hotel boasting a charming self-contained holiday rental cottage, plus dogs are welcome. 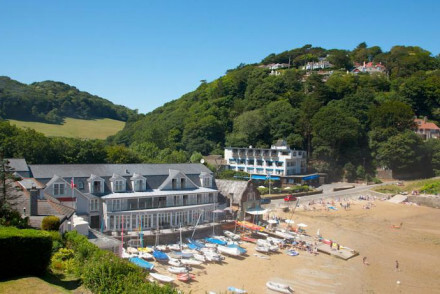 The relaxed family-friendly, Soar Mill Cove Hotel, is just a couple of miles from Salcombe and offers spacious rooms and suites, some with private patios and stunning sea views. 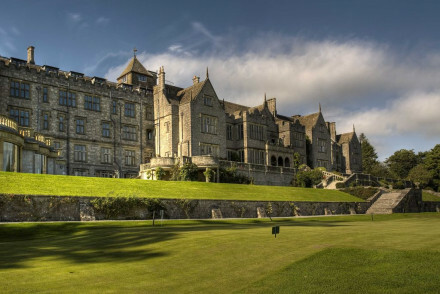 Bovey Castle is a family-friendly country hotel with something for everyone: lego room service for the little ones & bespoke spa treatments for the adults! South Sands is a paradise for watersport addicts - a comfortable haven, right on the beach and complete with beach-side restaurant. The rustic chic, Weeke Barton, is Grade II Listed and boasts 5 gorgeous en-suite rooms, licensed dining and 5 acres of wild but kept gardens tucked away in the beautiful rolling hills of Dartmoor. All at very reasonable rates. Dartington Hall offers stylish rooms exuding contemporary country chic and exceptional rates too. 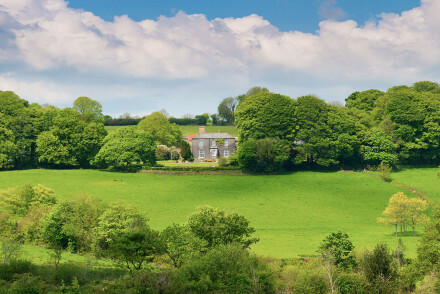 For many, the ideal treat is to rent a holiday cottage amidst the beautiful Devon countryside. For a wide range to suit all tastes and budgets, we recommend our online partner, Booking.com. Fly to Exeter airport, which has good connections all across the UK and Europe. Alternatively, travel by train - there are excellent connections across Devon from London. Devon is a year-round destination with each season bringing its own charm. However, it's nicest weather-wise in the summer months, with the temperature hovering between 12-21°C in August. Browse through our list of the best places to stay in Devon and start to plan your stay. Alternatively, widen the net and check out out selections in Cornwall and Dorset. Please feel free to call or email a friendly guru for advice. 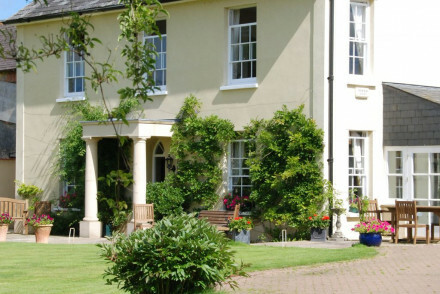 Elegant, luxurious country B&B on Devon's south coast, set amid beautiful mature gardens. Two stunning bedrooms and stylish ensuites with all the luxuries you'd expect from a five star establishment. Aga-cooked breakfasts and a gorgeous indoor salt walter pool. No restaurant, but plenty close by. Swimming Pool - Indoor heated salt-water pool available from May to September. 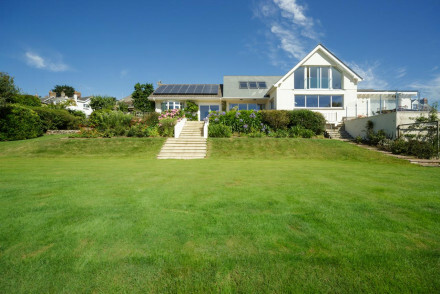 A charming famiy friendly property on the South Devon coast with superb facilities for all ages. There's a wide range of rooms with a traditional yet contemporary feel - many with a private balcony and sea view, plus award winning fine dining, superb spa, golf course and much more. Local exploring - From hidden beaches to National Trust Properties and pretty seaside villages, there's masses to see and do. 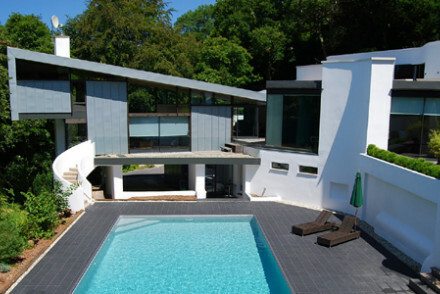 Modern design, Californian style boutique B+B with a pool, close to the River Dart. Rooms have their own entrances and sit out terraces, so ideal if you don't want to be disturbed. 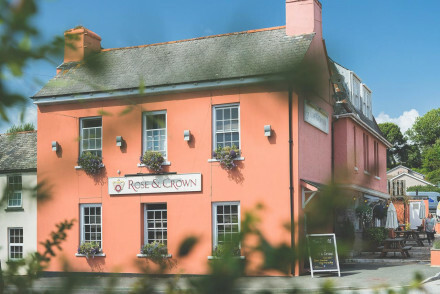 Immediately striking due to an orange facade, the Rose & Crown is a charming Devonshire inn. Rooms are comfortable and spacious and the hotel restaurant offers delicious local cuisine. 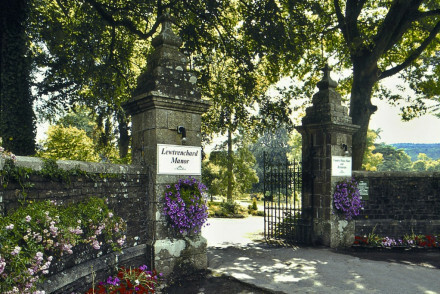 A great launchpad from which to explore the beautiful countryside surrounding Yealmpton. Local exploring - A great base for exploring Yealmpton and the surrounding countryside. Sights nearby - Visit the lovely nearby Cathedral Church of St Mary and St Boniface. Great walks - Go for lovely walks along the river Yealm. A quaint B&B in the historic market town of Axminster. A handful of contemporary rooms are cleanly designed with soft hues, crisp white linen and luxurious bathrooms. Surrounded by an abundance of culture and pristine countryside this is the perfect spot for a weekend break. Local exploring - Ideally placed to explore the Jurrasic Coast, the historic town of Lyme Regis and all that Axminter has to offer. Sights nearby - Visit the splendid church of St Mary the Virgin, the oldest building in Axminster. Great walks - Discover the Jurrasic Coast - a UNESCO World Heritage Site - on long walks. 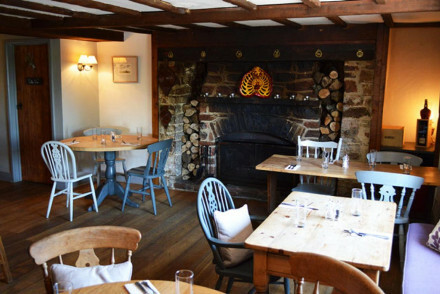 Combining an atmospheric pub with excellent rooms, The Lamb Inn is a great spot in rural Devon. Comfortable rooms, good food in the restaurant and a cosy bar make it a lovely place to spend a weekend. A self-catering Garden Suite is also available. Local exploring - A great base for exploring the Devonshire countryside north of Exeter. Sights nearby - Take a day trip to Exeter and visit the cathedral and castle. 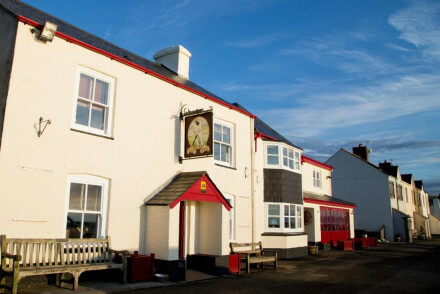 With views of the charming fishing village this 17th century inn is a great family stay. The decor hints at its nautical location with light palettes, blue stripes and cushions, as well as exposed beams and extra beds. The menu's emphasis is on fresh local fish, complemented with fine wines. Great walks - Traverse part of the South West Coastal Path. Sights nearby - Powderham Castle is worth a visit. Quiet and charming, Hartland Mill B&B is an excellent option for those looking for somewhere to stay on the Hartland Heritage Coast. Surrounded by abundant natural beauty, it's perfect for people looking to explore some of Devon's finest scenery. Great walks - Five minutes walk from the stunning South West Coast Path. Birdwatching - Go birdwatching on the stunningly beautiful Lundy Island. Sights nearby - Take a trip to the magnificent nearby Hartland Abbey. Set a beautiful historic townhouse, Bayards Cove Inn is a classy establishment in Dartmouth. Its modus operandi is to do the simple things well and the hotel staff make good on this. Excellent restaurant, comfortable rooms and a beautiful setting overlooking the Dartmouth estuary all help of course. Great walks - Go for lovely walks on the nearby beaches such as Blackpool Sands. Sights nearby - Ten minutes walk from the magnificent Dartmouth Castle. An excellent restaurant and bar with five boutique and elegant rooms each with smart en suite shower room and all with access to a complimentary guest pantry. 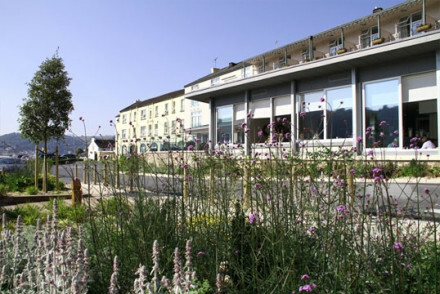 The restaurant is run by award wining chef Peter Mundy and serves dishes from the finest local produce. A superb find close to Exmoor. 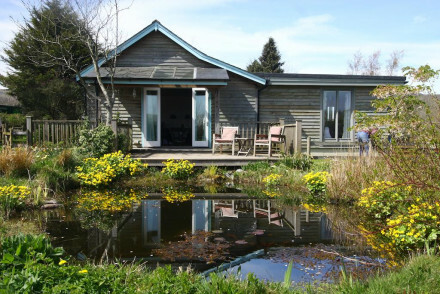 Back to Nature - With nearby access to Exmoor National Park, nature lovers will be right at home. Sights nearby - The castles at Dunster and Tiverton make for a great day out. 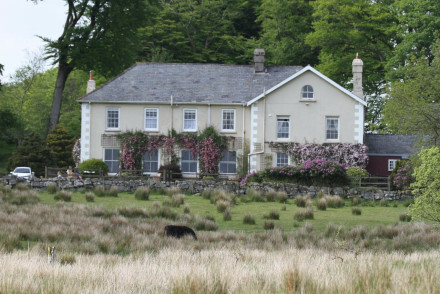 A gorgeous farmhouse boasting an enviable location just outside Dartmoor. Lovingly styled rooms feature polished wooden floors, crisp white linen and soft hues. The ever friendly host offers both B&B and self catering. Ideal for couple or family breaks. 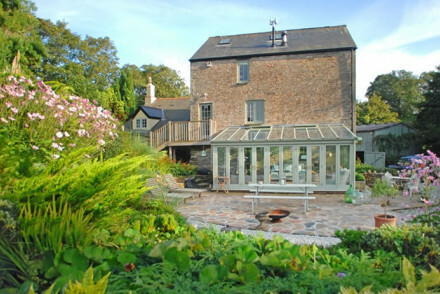 Country Escape - A charming farmbouse located just 3 miles from Dartmoor National Park. Great walks - Find endless scenic walking trails running through Dartmoor and also routes straight from the property. A characterful B&B boasting an enviable location in the heart of Dartmoor. Three individually styled rooms are light and comfortable and offer private outdoor seating areas to enjoy the views. Indulgent breakfasts are served in a contemporary breakfast room with floor to ceiling windows. 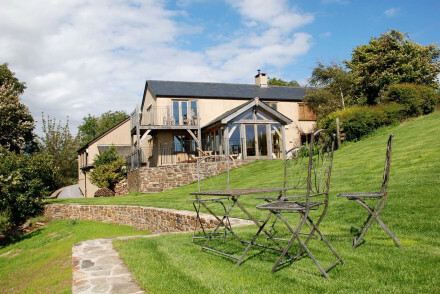 Country Escape - Boasting a secluded spot within Dartmoor National Park. Great walks - Take long walks along the endless and picturesque walking trails running through Dartmoor. Kayaking - Dicover the beauty of the South Devon coast in a kayak. A 7th century listed cottage situated to the south of Dartmoor National Park. Friendly, comfortable B&B with a beautiful garden. Large rooms with stylish decor - a mix of traditional and contemporary. Two are situated in the converted barn. The perfect place to relax and unwind. 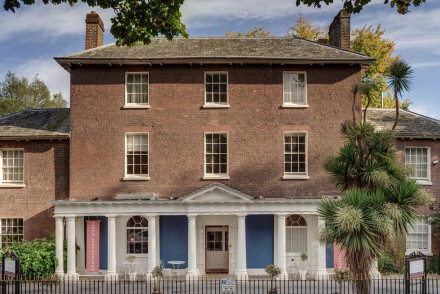 Right in the heart of Exeter, The City Gate is a delightful 14-bedroom hotel. Offering stylishly decorated rooms with contemporary comforts as well as an excellent in-house restaurant. Perfect for a relaxing weekend away in Devon's capital. Local exploring - A great base from which to explore the charms of Exeter and the surrounding countryside. Great walks - The nearby Jurrasic Coast has countless beautiful walking paths. Sights nearby - Five minutes walk from the magnificent Exeter Cathedral. 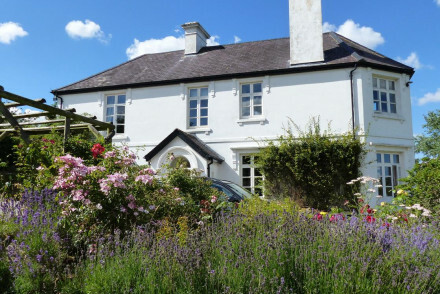 Characterful and charming, Glebe House is a lovely B&B in rural Devon. Full of artefacts and antiques, it has a real homely feel with charming rooms and goats roaming in the paddocks outside. An ideal weekend retreat. Sights nearby - Take a trip to Colyton Tannery, the UK's last remaining Oak Bark Tannery. Great walks - The surrounding landscape is full of beautiful walking routes. 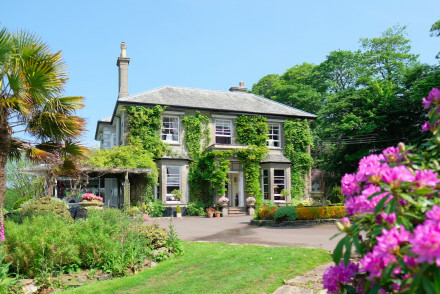 Situated on the edge of Exmoor National Park, Beachborough Country House is a characterful B&B in the village of Kentisbury. Rich with antique charm, the rooms are comfortable and elegant. A great base for exploring Exmoor. Great walks - The Exmoor National Park is full of wonderful walking routes. 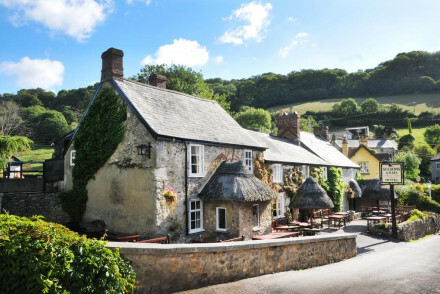 A charming Coaching Inn tucked into the Devonshire village of Tytherleigh. The Tytherleigh Arms features elegant rooms, a cosy bar and a superb restaurant making it a great spot for a romantic rural retreat. Sights nearby - Take a day trip to the lovely Devonshire town of Axminster. Great walks - Go walking at the magnificent Golden Cap. 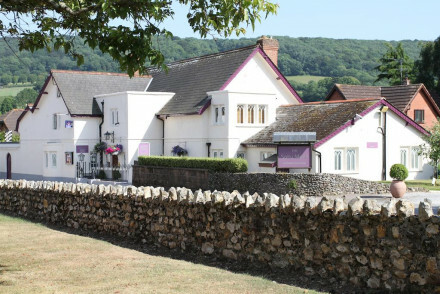 Nestled in the Teign Valley sits this lovely hotel and restaurant. Open log fires and cosy interiors makes this the most welcoming place to come back to after a day exploring Dartmoor. Enjoy a delicious cream tea or gastronomic delights for dinner in the restaurant. Beautiful scenery all around. Fishing - Upper Teign Fishing Association has six miles of fishing for brown trout, sea trout and salmon. Great walks - The hotel is surrounded by scenic walking trails. Local markets - Visit Tavistock, an award-winning market town. No 2 Broadgate really is a little gem, just a short way from Barnstable's town centre. Boasting delightful rooms that exude a simple elegance with lush ensuite bathrooms. Peaceful and intimate, it's perfect for a romantic weekend away. Great walks - Go for walks along the nearby Devonshire coastline. Sights nearby - Take a trip to the nearby Watermouth Castle. Local markets - Browse the wares in the Pannier Market. 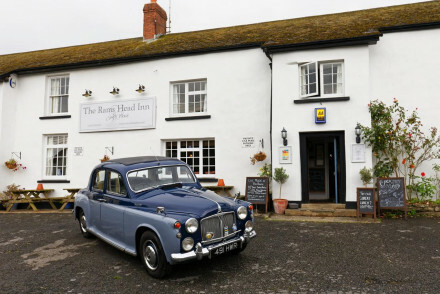 The Rams Head Inn is a charming hotel in the midst of rural Devon. Excellent rooms, an atmospheric bar and a superb restaurant all combine to create a stellar B&B. A great option for families or groups. Fishing - Go trout fishing on the nearby Torridge. 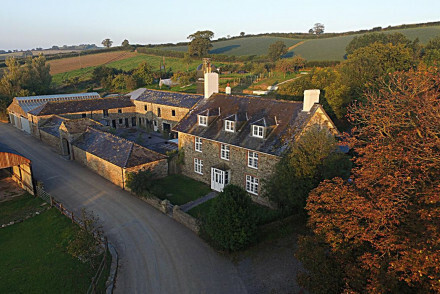 Set amidst the beautiful rolling landscape of South Devon, Keynedon Mill is a delightful B&B. Housed in an rustic old stone mill, it features lovely rooms, sumptuous breakfasts and a superb gardens. A great spot for a romantic retreat. Surfing - The Devon coastline has lots of great surf spots, some of which just a couple of miles from the B&B. Great walks - The surrounding countryside plays host to a number of lovely walking routes. Birdwatching - Twitchers will enjoy birdwatching at Frogmore Creek. Beautiful views, charming hosts and lovely bedrooms all come together to create Bulleigh Barton Manor. A few miles from Torquay, it offers guests a great base for exploring the wonders of South Devon. Local exploring - Perfect for exploring the countryside surrounding Torquay. Birdwatching - The surrounding scenery offers a varied landscape that is home to a vast array of birdlife. 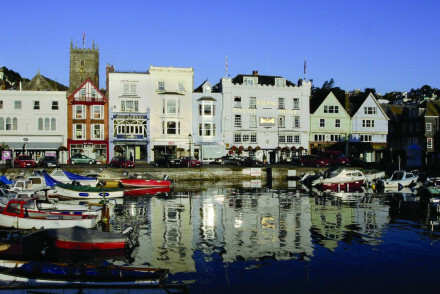 Sights nearby - Take a day trip to nearby Totnes, hailed as one of Britain's funkiest towns. Traditional country pub in a pretty coastal village. Cosy and stylish rooms - muted tones with real wood accents and antique touches. 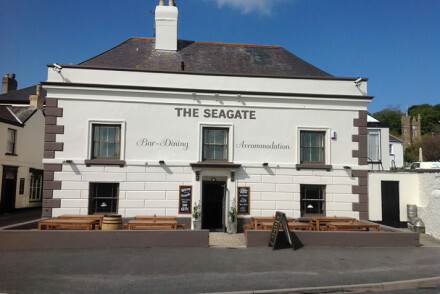 Fine ales and classic dishes, with the beach only a short walk away. A great place to rest your head whilst discovering East Devon’s Jurassic coastline. Restaurant - Features lobster and crab landed on Branscombe beach. It has held a Michelin star for more than 10 years. Foodies - The restaurant holds a Michelin star, and they run monthly masterclasses if you're keen to learn! Cooking classes - Cookery masterclasses are held on the first Wednesday of the month. Set in a beautiful property in the town of Axminster, Green Dragon House is a charming B&B. 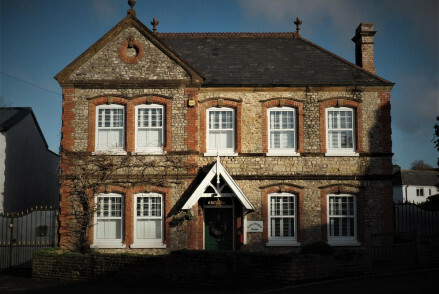 Featuring comfortable rooms and offering excellent breakfasts, it's a great base for people who want to explore the Jurassic Coast. Local markets - Browse the wares at Axminster Thursday market. Great walks - Go walking at the Golden Cap. 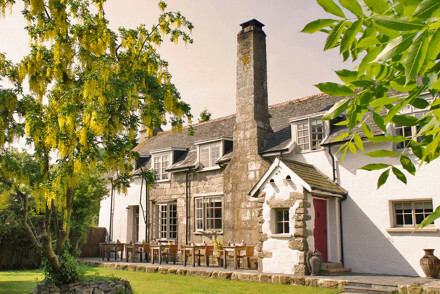 Welcoming guests since the 1800's this country inn is located within Dartmoor National Park. It is traditional in style with exposed beams and antique decor. There is a charming self contained holiday rental cottage, plus dogs are welcome! The restaurant focuses on fresh, local fish and good wine. Sights nearby - Buckfast Abbey (famous for their tonic wine), Castle Drogo, Powderham Castle are a short drive. Great walks - Yarner Wood The nearby Yarner Wood is superb for walking. 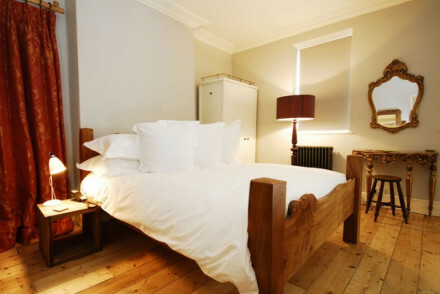 An atmospheric inn set in the heart of the pretty market town of Chagford. Individually styled rooms are spacious and bright with large sash windows and boldly patterned fabrics in soft hues. A lively restaurant serves traditional fare using local produce. Perfect for exploring the moors. Active Holiday - Dartmoor National Park offers a plethora of outdoor pursuits. Great walks - Explore the miles of secenic walking trails that run through Dartmoor. 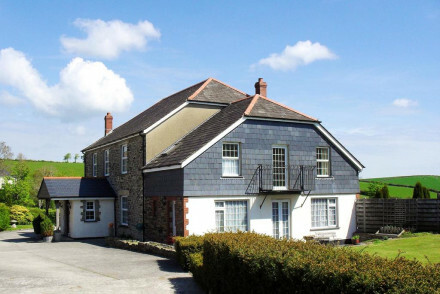 Set on a beautiful Devonshire farm amidst rolling green fields, Burnville Farm is an excellent B&B. Boasting lovely rooms, an outdoor pool and stunning views, it's a great base for exploring Dartmoor. 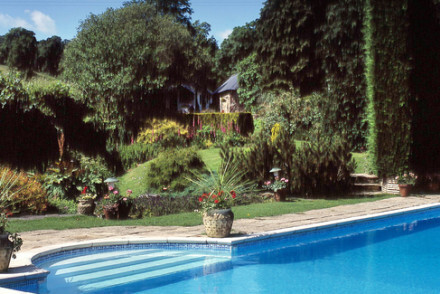 Also offer self-catering cottages that are great for families and groups. 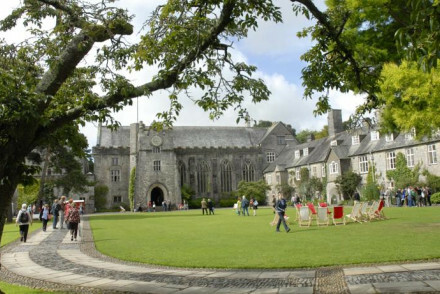 Sights nearby - Take a day trip to Tavistock, voted the UK's best market town. Great walks - Dartmoor National Park is full of superb walking routes. 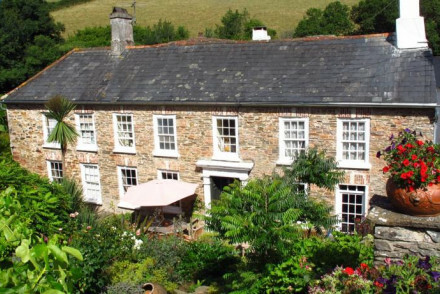 Set in rolling Devon countryside, Beera Farmhouse is a delightful B&B. The individually decorated rooms exude charm and character and the farm's sprawling land is ripe for exploring. 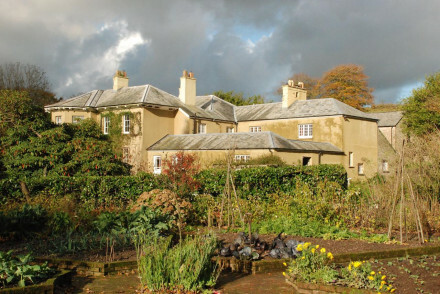 Sights nearby - Visit the magnificent nearby Bicton Gardens. 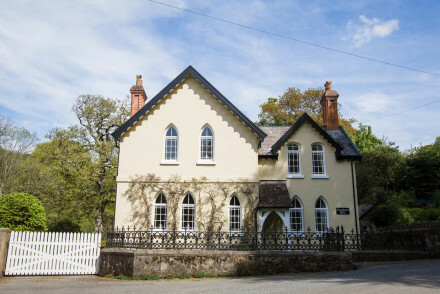 A family run B&B boasting a secluded spot in the stunning Devon countryside. Three charming rooms are traditional in style with exposed stone and beams, sink-into beds and fabulous views. Hearty breakfasts are served and the hosts are more than happy to share their knowledge of the region. Active Holiday - With Dartmoor National Park on the doorstep there's a host of outdoor pursuits to enjoy. Great walks - Discover the North Devon and Cornish coast on long walks. 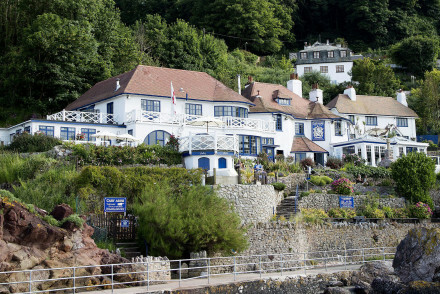 A charming family friendly hotel overlooking Clovelly Harbour. Seventeen attractive rooms decorated in a neutral palette with splashes of blue and green to reflect the nautical feel. 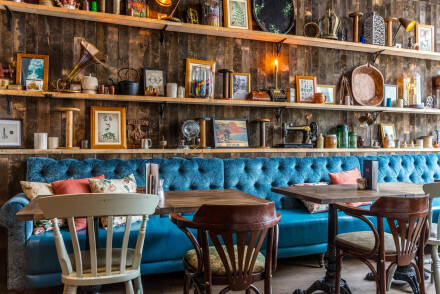 Cosy bar and restaurant serving up the best of day's catch. Great option for a traditional seaside holiday. Tucked away in rolling Devonshire countryside just to the south of Exmoor, The Lodge at Loyton is a place that exudes class and charm. Lovely rooms, delicious food in the restaurant and beautiful grounds all come together to create a place that's perfect for a rural retreat. Sights nearby - Dulverton is a delightful town nearby, full of charm and character. Great walks - Go out walking for the day in nearby Exmoor National Park. 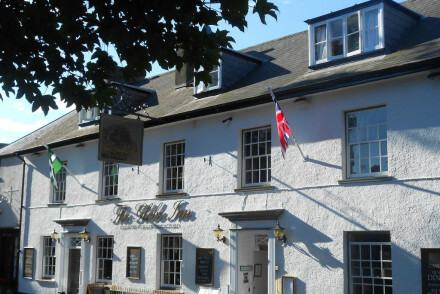 A charming inn set in Chagford and surrounded by the rugged and beautiful Dartmoor National park. Simply dressed rooms mix contemporary and traditional styles with feature wallpaper, crisp white linen and soft hues. A fabulous restaurant beautifully showcases local produce. Active Holiday - With Dartmoor National Park on your doorstep there's a host of outdoor activities on offer. Great walks - Stroll through Stone Lane Gardens, an enchanting 5-acre woodland garden on the edge of the Dartmoor National Park. Fishing - Try your hand at fly-fishing on Dartmoor’s rivers and lakes. A Grade ll listed house set in picture perfect countryside surrounding by rolling hills and grazing sheep. Traditionally dressed rooms are comfortable and cosy. Homemade breakfasts are served using locally sourced produce and the friendly owners are ever ready to advise on local activities. 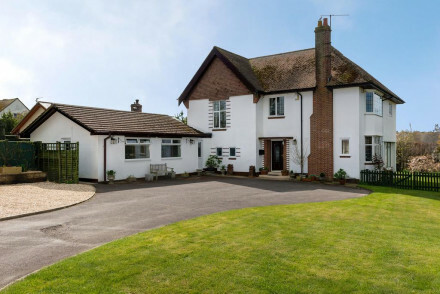 Country Escape - A delightful rural property set in a secluded spot with access to beautiful walking country. Great walks - Find walks galore through the little hamlet of Eastleigh and its country lanes. Surfing - Go surfing on the renowned beach of Croyd. This top-notch B&B is a 6th century cottage set in a picturesque village close to the beach. High standards of interior decor - contemporary with exotic touches. Sleigh beds and striking colour schemes. Relaxing and comfortable, with a beautiful garden and terrace overlooking the sea. 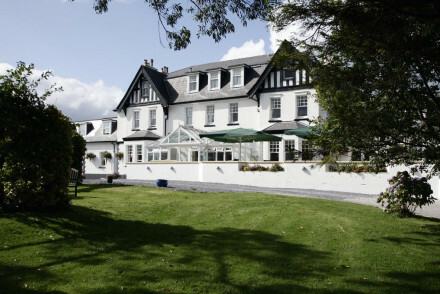 Positioned on the edge of Dartmoor National Park, The Elephant's Nest Inn is a delightful small hotel. The centrepiece is the fantastic pub and restaurant which oozes character and charm. Upstairs, three lovely rooms offer guests a comfortable place to rest their heads. Great walks - There are lots of wonderful walking routes right from the Inn. Sights nearby - Take a trip to nearby Lydford Castle. The picturesque Cott Inn brims with history and charm. 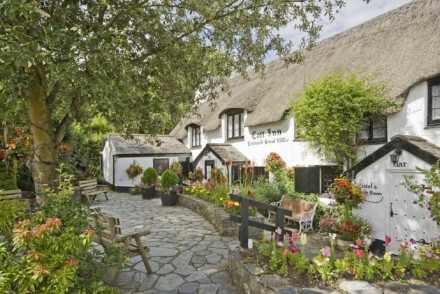 One of England's oldest remaining thatched inn's, between the Dartmoor National Park and the spectacular South Devon coastline. The perfect country escape with a snug bar, an excellent restaurant and delightful upstairs rooms. Country Escape - The perfect country escape in a historic thatched house surrounded by lovely gardens and bordered by the Dartmoor National Park. Local exploring - Perfect for exploring the beautiful surrounding Devonshire countryside. Great walks - This area is packed with excellent walking trails and routes, ask at the bar for personal favourites. Sights nearby - History buffs will be glad to hear, Dartmouth Castle is within ten miles. 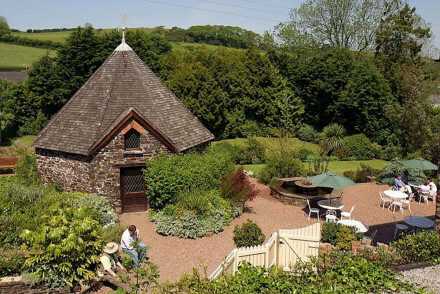 Hidden in the depths of rural Devon, Larkbeare Grange is a charming B&B run by great hosts. The house offers smart, comfortable rooms and a beautiful setting. A great launchpad for exploring Devon. Sights nearby - Visit nearby castles at Powderham and Tiverton. 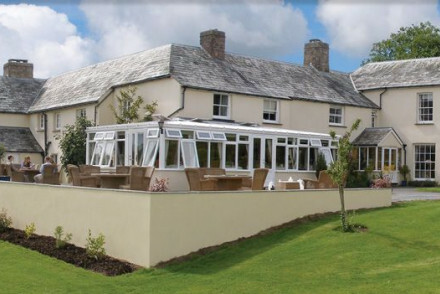 Nestled into the Dartmoor National park, so is perfectly positioned for exploring the area. 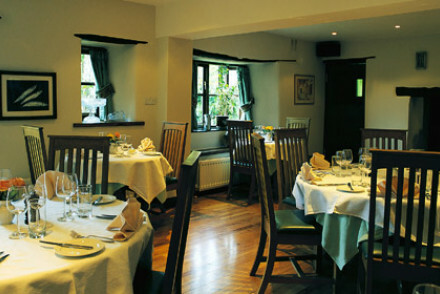 The inn offers excellent accommodation and fine dining in the restaurant. 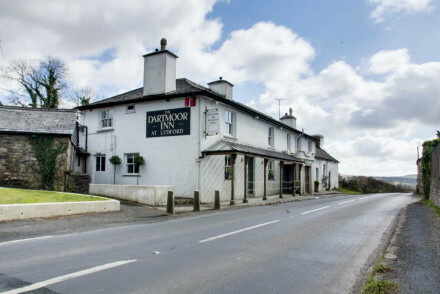 The Dartmoor Inn is intimate and charming with three homely bedrooms and a popular pub. Local exploring - A great base for exploring the Dartmoor National Park. 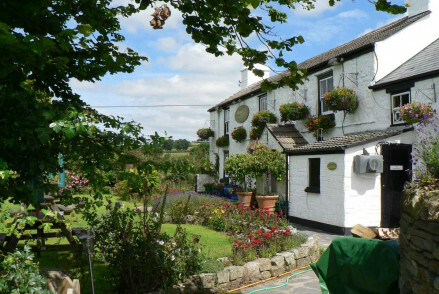 Nestled amidst gently rolling Devonshire hills, Kerswell Farmhouse is a delightful B&B. Boasting comfy rooms and a lovely big garden, it's a great place to relax. The feel of the farm is never too far from sight with chickens, lambs and pigs all wandering in nearby fields. Great walks - The surrounding countryside is full of excellent walking routes. Sights nearby - There are castles nearby at Totnes and Dartmouth. A quaint inn boasting an enviable location on Devon's beautiful Hope Cove. 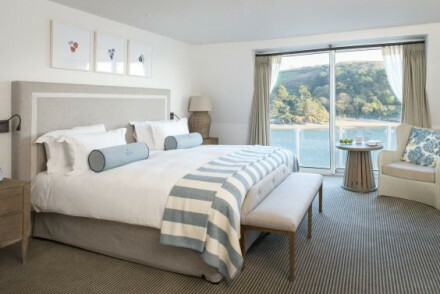 Simply dressed rooms boast glorious sea views, soft hues and soothing sounds of the ocean. Quintessentially British dishes are served in the atmospheric restaurant with particularly good seafood. Country Escape - Boasting a fabulous location in one of Devon's prettiest coves and surrounded by glorious walking country. Great walks - Discover fantastic South Devon AONB, with endless peaceful countryside, rolling hills, stunning coastline and hidden coves. Fishing - Deep-sea fishing expeditions leave from nearby Salcombe. A charming B&B in one of Britain's best holiday destinations. Four chic rooms are individually styled with bold colours, plush velvet head boards, contemporary bathrooms and crisp white linen. Indulgent breakfasts and a warm welcome make this the perfect spot for a relaxing escape. Local exploring - Coined as the English Riviera there is a beautiful coastline to be enjoy as well as having easy access to Torquay's attractions. Great walks - Discover the beautiful and dramatic coastline on long walks. 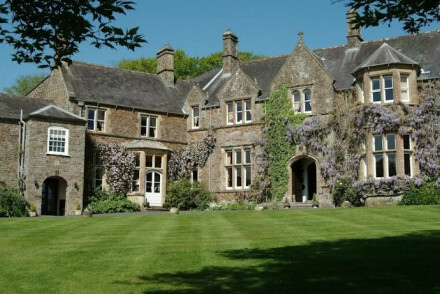 A grand medieval courtyard and landscaped gardens in the Devon countryside. Stylish rooms exude contemporary country chic and offer exceptional value. Great locally sourced food is found at the White Hart amid the formal gardens. A wonderful spot for all the family to enjoy the best of Devon. 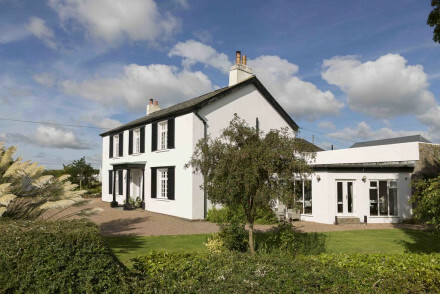 A charming B&B overlooking the beautiful Frogmore Estuary. Featuring comfortable rooms, great views and hearty breakfasts. Seaflowers is perfect for those looking for a base from which to explore the surrounding Devonshire countryside. Local exploring - Perfect for exploring the Frogmore Estuary and the surrounding countryside. Local markets - Browse the local market at nearby Kingsbridge. Sights nearby - Take a trip to visit Dartmouth Castle. Sailing - Go sailing on the Frogmore Estuary. Small and friendly owner managed seaside bolthole of just five rooms, with a beach house feel. Cosy rooms are comfortable and clean with wonderful sea views. Cooking that finely showcases the Devon produce. Private beach access. A great weekend escape. Romantic Break - A magical seaside escape for two, with charming rooms, fantastic food and phenomenal views and walks along the coast. Birdwatching - The hotel provides binoculars in every room, so make the most of your large windows! Great walks - Step out of the hotel and onto the pretty garden path tumbling down to the beach. Surfing - Surf or kite surf on Bigbury, Challaborough and Bantham beaches. 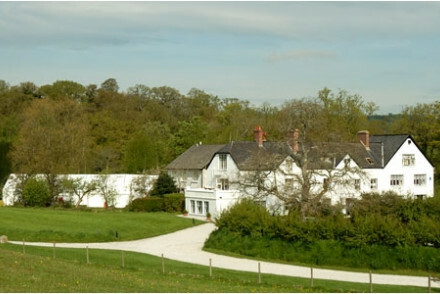 A Georgian manor set in mature gardens in a scenic village outside of Plymouth. 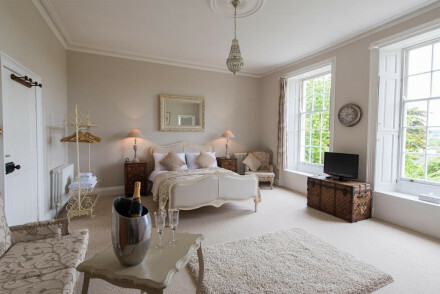 Attractive rooms are simply designed with light wooden furniture, soft hues, sash windows and luxurious bathrooms. Dine in the traditional restaurant and sip on an evening tipple in the atmospheric bar. Fabulous. Country Escape - Located in a picturesque village and set amidst its own manicured gardens, the perfect rural escape. Great walks - Find miles of walking trails through scenic countryside. Sights nearby - Visit the grand Mount Edgcumbe House and Country Park. 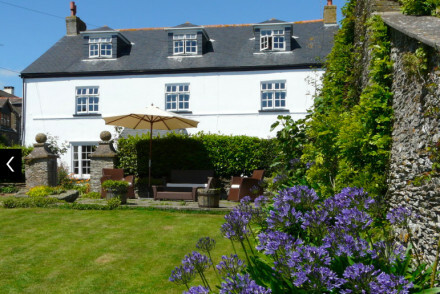 A boutique B&B boasting a spectacular setting in the heart of the South Hams. Elegant rooms are spacious and all white on white. A high-ceilinged central lobby features numerous artworks and leads down to the breakfast room and cosy lounge. Ideal for weekend walking holidays. 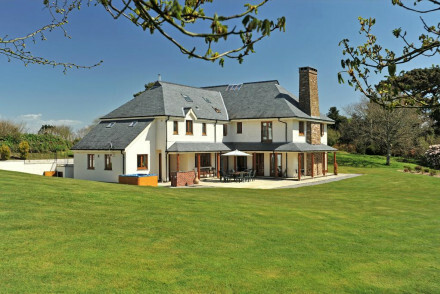 Country Escape - A secluded property in the heart of South Hams and surrounded by picturesque countryside. Sights nearby - Dartmouth Castle, Totnes Castle, Bayards Cove Fort, Berry Pomeroy Castle and Dartington Hall are all within easy reach. 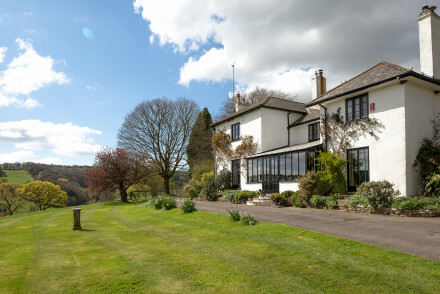 Great walks - Embark on gorgeous countryside walks leading to the River Dart direct from the house. Kayaking - Take a traditional canoe down the River Dart. Chic and sleek are probably not the words people associate with Dartmoor but they certainly fit the bill at Glazebrook House Hotel. 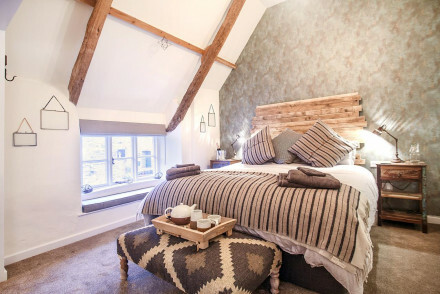 Featuring wonderfully designed rooms and an excellent restaurant, it's perfect for people looking for a hip base from which to explore Devon. Great walks - Dartmoor National Park is full of wonderful walking routes. Sights nearby - Take a visit to Totnes Castle. 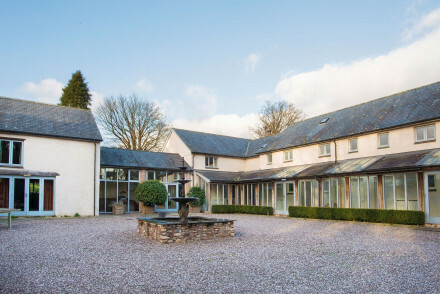 Blending the old with the new, Old Park Hall is a delightful B&B in Devon. Housed in a stunning Georgian building, the property offers luxurious rooms, a superb restaurant and lovely rolling grounds. Perfect for exploring the coastline around Lyme Regis. Sights nearby - The stunning natural UNESCO World Heritage Site of Golden Cap is within minutes of the property. Fishing - Go fishing along the Lyme Regis coastline. 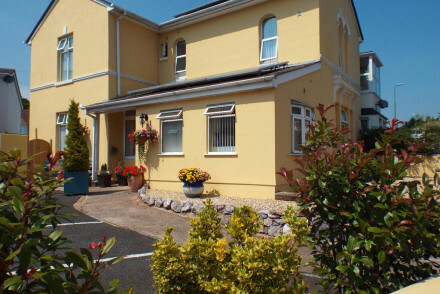 A charming inn boasting a fabulous spot on the pristine Devon coast. Nautically themed rooms are bright and white with pops of blue coming from the soft furnishings. 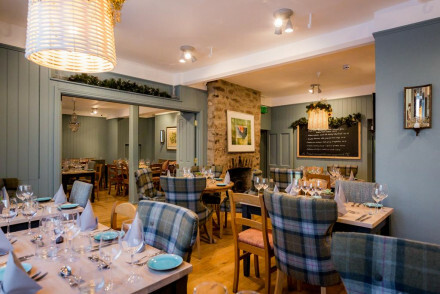 An award winning restaurant serves up quintessential British fare and specialises in seafood. A delightful rural escape. Country Escape - A remote setting offering breathtaking sea views, ideal for total escapism. Great walks - Take long walks along the stunning South West Coast Path. Surfing - Hit the waves on the popular surf spot, Bantham Beach. Eco friendly, organic restaurant with rooms in the heart of rural Devon, between Dartmoor and the North coast. Spacious well appointed bedrooms and fabulous organic food, much of it produced on site. Wonderful spot for total relaxation after a day exploring the area. Great walks - Both Dartmoor and the South West Coast Paths are within easy reach. Sights nearby - Plenty of National Trust Houses and gardens in the vicinity. Cooking classes - Courses available year round. Restrictions on children - Over 10s only. 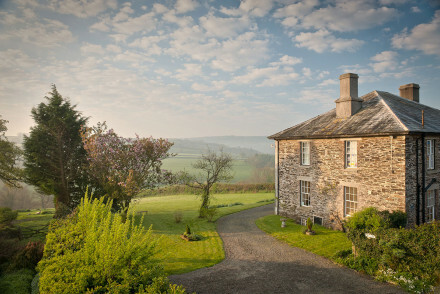 A quintessentially British country house set in beautiful, rugged Dartmoor. Charming rooms feature soft hues, tartan fabrics and sink-into beds. A fabulous restaurant (using the freshest local produce) and indulgent spa are a welcome respite after a day spent on the moors. Spa breaks - A country house and contemporary spa which uses the latest technology alongside touches of ancient Tibetan knowledge. 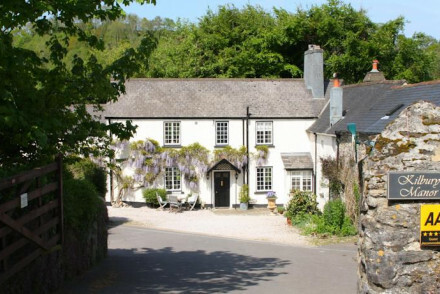 A quaint farmhouse in the picturesque moorlands of Exmoor. Simply designed rooms feature soft hues, large windows and chintz fabrics. Superb food is served in the small restaurant using produce of the region. A glorious spot for a countryside escape. Back to Nature - A pretty farmhouse in the rugged landscapes of Exmoor. Birdwatching - With 243 species residing in the region bird watchers will be in paradise. Great walks - Discover the beautiful moorland on long walks. 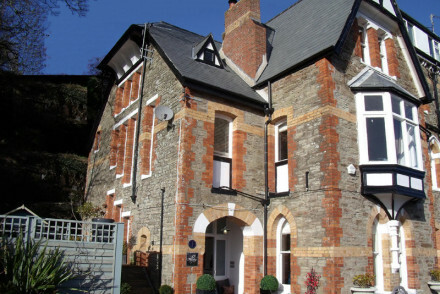 A chic adults onnly boutique property located in the heart of Exeter. Smart rooms feature soft hues, enormous sash windows and spacious contemporary bathrooms - the best have free standing baths. And The Club Room offers all day dining. The ideal base from where to explore the city. City Style - A chic townhouse with an excellent central location. Sights nearby - Visit the impressive Exeter Cathedral dating back to 1400. A charming pub in South Pool that offers one delightful loft-style apartment. The Millbrook Inn is centred around an old school English pub that focuses on local beers and excellent food in the restaurant. The upstairs apartment is stylish and comfortable with facilities for self-catering. Local exploring - Tucked in the heart of Devon's south coast near Slapton Sands, it's perfect for exploring the surrounding area. Birdwatching - Slapton Sands and the surrounding coastline is a haven for birdwatchers. Great walks - Go for lovely walks along the nearby river. Sights nearby - Go and visit Dartmouth Castle. 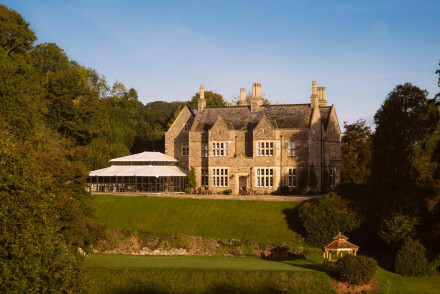 A five star Country House and spa located next to the beautiful Dartmoor National Park. Smart rooms perfectly mix traditional and contemporary styles, the best featuring heavy four posters and in-room free standing baths. An extensive spa and innovative restaurant make this a very special stay. Spa breaks - Unwind in the state-of-the-art Gaia spa, one of the best in Devon. Great walks - Spend days exploring the rugged countryside of Dartmoor National Park. 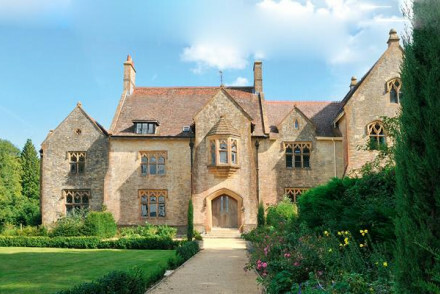 17th century manor house set within five acres of perfectly manicured gardens. Dining at the award-winning restaurant in its newly renovated dining room is a must. Rooms are decorated in a classic style and filled with antiques. 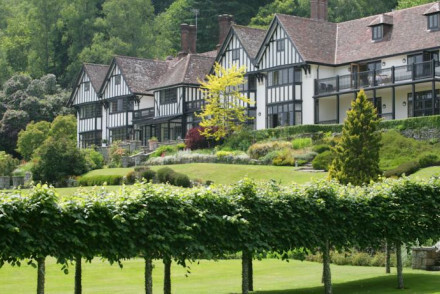 A stunning setting for weddings or the perfect weekend break. An award winning restaurant and adjoining B&B set in the pretty town of Sidmouth. Rooms vary between uber contemporary - think in-room glass screened bathrooms - and a little more on the country chic side. The fabulous restaurant serves up exemplary fare using seasonal produce. Country Escape - A relaxing rural property surrounded by the natural riches of East Devon. Great walks - Take long walks along the beautiful Jurassic coastal path. Sights nearby - Visit the majestic Exeter Cathedral. 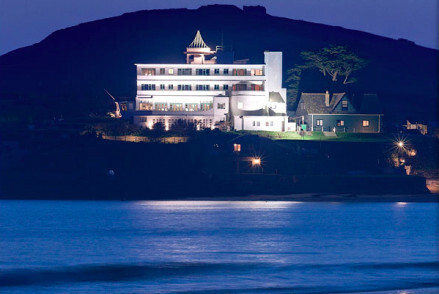 Relaxed family friendly hotel a couple of miles from Salcombe. Spacious rooms and suites, some with private patios and stunning sea views. Delicious food with an emphasis on local specialities. Wonderful walking on the doorstep and a warm welcome for canine guests too! Private Hot Tub - Book one of the Ocean View self catering units for your own outdoor hot tub. Spa - Wide range of treatments on offer from facials to massages to reflexology. 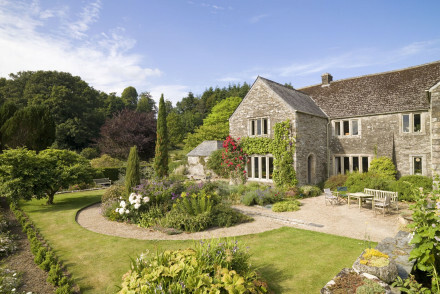 The former cider house of the Buckland Abbey monks, this elegant B&B is a real charmer. Set amidst lovely gardens and featuring just four chic, luxurious rooms and delicous breakfasts with many of the ingredients grown on site. Perfect for a sophisticated rural retreat. Great walks - Wander through the Cider House's lovely gardens and the surrounding estate. 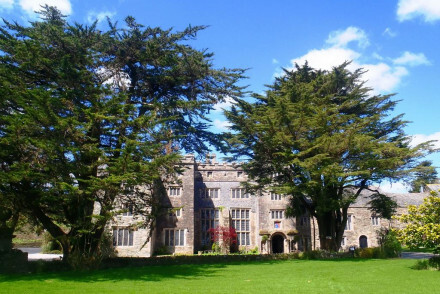 Sights nearby - Guests have access to the magnificent nearby Buckland Abbey. This Jacobean manor house, dating back to the 16th century, with all the modern comforts as well as oak panelled hallways, open fire places and manicured gardens. Rooms are decorated with antique pieces. The restaurant, including nine course tasting menu is a must try. A popular wedding venue. 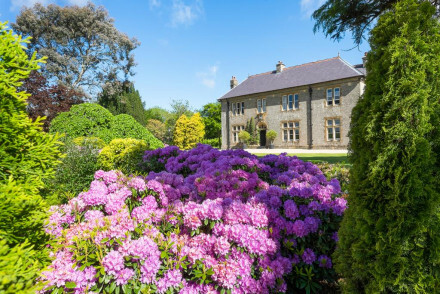 This 18th century country house hotel offers the simple pleasures of good food, lovely views and peace and quiet. Tranquil walks can be enjoyed in the the walled ‘secret garden’, apple orchards and Japanese water garden. Great for a relaxing weekend break. 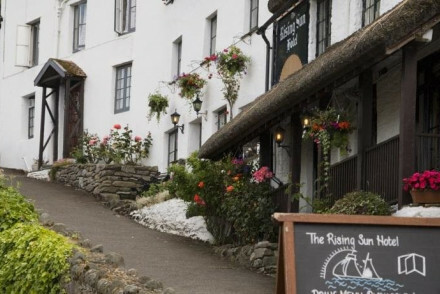 With a picturesque position overlooking Lynmouth harbour, The Rising Sun is a charming traditional inn. 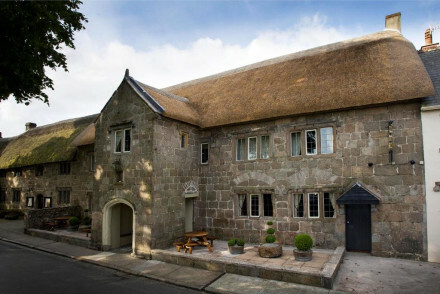 Set in a delightful 14th century thatched property, the hotel prides itself on delicious food in the restaurant and comfortable, relaxing accommodation in its sixteen individually designed rooms. Local exploring - A great base from which to explore Exmoor National Park. 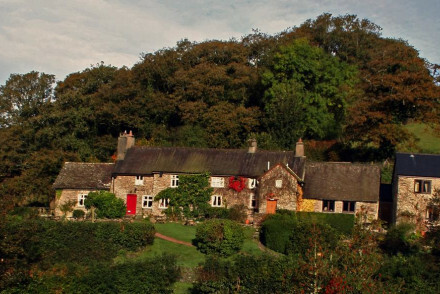 Tucked away in the Devonshire countryside, Prince Hall is a lovely B&B. Boasting smart, spacious rooms and beautiful views out over moorland. There is a great a la carte restaurant. It is a lovely place to relax in a rural setting. Sights nearby - Go and visit local sights such as Lydford Castle and Castle Drogo. Great walks - Go for lovely walks in the surrounding countryside. A traditional hotel boasting a fabulous location overlooking the River Dart and just steps from the castle. Elegant rooms are traditionally dressed with antique furniture, patterned wallpaper and chandeliers. An atmospheric fire lit restaurant specialises in grills. A charming stay. Local exploring - Perfectly placed in the heart of Dartmouth with many of its attractions within walking distance. Great walks - Find glorious walks in the surrounding countryside with trails suitable for gentle walks or more challenging hikes. Sights nearby - Visit the imposing Dartmouth Castle, just a short stroll from the property. Sailing - Take a cruise along the river on a coal-fired paddle steamer. Close to the border of Dartmoor National Park, Anran @ Tidwell Farm is a charming guesthouse in rural Devon. Beautiful rooms and stunning surrounds are the main reason to head here. The whole house is available to rent for bigger groups. Sights nearby - Take a trip to nearby Totnes Castle. Small but beautifully designed coastal village hotel - a boutique of real style with just six rooms, one mile from the beach, with chic rooms and a screening room for movies. Paradise for watersport addicts - a comfortable haven, right on the beach. Rooms are designed in a contemporary New England style - creams and soft pastel colours. The spacious suites are perfect for families. Enjoy the sea air and great brasserie food at the beach side restaurant and terrace. Great walks - Walk up behind the hotel and look around the National Trust's Overbeck's House and Garden a treasure trove of tropical plants. Local markets - Walk to Salcombe and check out the various art galleries and boutiques including Bibi & Mac, Quba Sails and Jack Wills. Sailing - South Sands Sailing school is right next to the hotel offering sailing, kayaking and other watersports. Fishing - The hotel can arrange deep-sea fishing trips with a little notice. A nautically inspired hotel set on the famed Jurassic Coast. Light and airy rooms are decorated with soft hues and have floor to ceiling windows (the best are sea facing). Boasting both a spoiling spa and an excellent restaurant serving British classics. A fabulous spot for a weekend getaway. Country Escape - A country house boasting a location on the spectacular Jurassic Coast, ideal for a rural getaway. Sights nearby - Visit Sidmouth's interesting Norman Lockyer observatory. Great walks - Take long walks along the Jurassic Coast. Kayaking - Explore the coast from the sea by kayak. 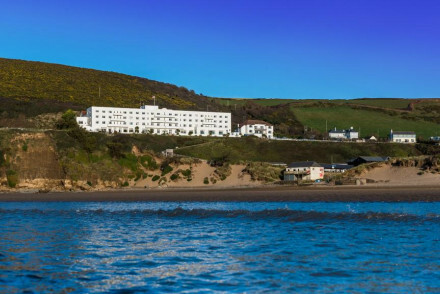 Quintessential family seaside hotel with a spectacular setting on the North Devon coast. Stylish contemporary accommodation in neutral muted hues, with flexible options from doubles to family apartments. 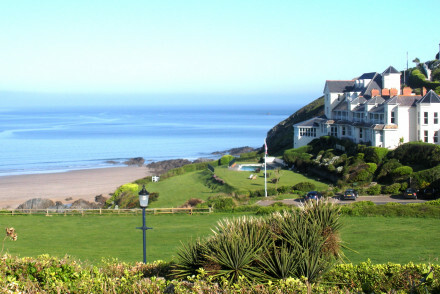 Top class on-site facilities for sports, relaxation & family fun plus 2AA Rosette fine dining. Swimming Pool - Heated indoor and outdoor swimming pools. Sights nearby - Enjoy a day out at Victorian Watermouth Castle; providing a theme park for the kids. Kids Club - A supervised playroom and two hours free childcare per day for under-eights. Spa - A comprehensive facility offering all you could want to relax and unwind. Family friendly country hotel with something for everyone: lego room service for the little ones & bespoke spa treatments for the adults! Ideally situated for exploring the wilderness of Dartmoor and more activities on site than you can imagine. Child friendly - Daily egg collecting, meet the ferrets and falconry displays. Colouring books & crayons for little ones at meal times! Great walks - Complimentary walking guides and dog towels. Luxurious self-catered apartments in a Victorian Villa a short walk from the beach. Chic interiors with elegant chandeliers, large windows and soft hues. The shared garden features a large hot tub. Plenty of activities nearby. An excellent base for families or groups. Families - Private accommodation with a garden with plenty of activities in the surrounding area make this the perfect base for families. Country Escape - Set amidst lovely surroundings, overlooking the coastline and with plenty of country pursuits to suit every taste. Surfing - Croyde, Saunton and Woolacombe beaches are nearby and lessons can be easily arranged. 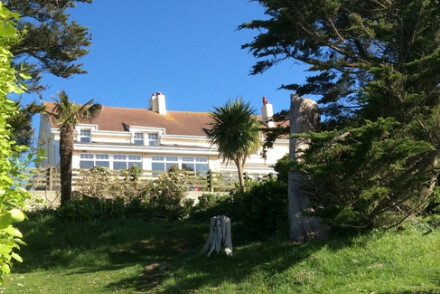 Sights nearby - Ilfracombe, and Lundy Island are both within easy reach of the property. 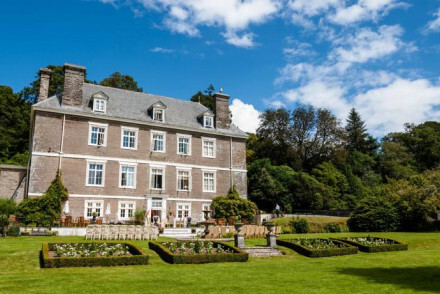 Historic 19th-century country house hotel in rural Devon which has been sympathetically updated for retreat and relaxation. 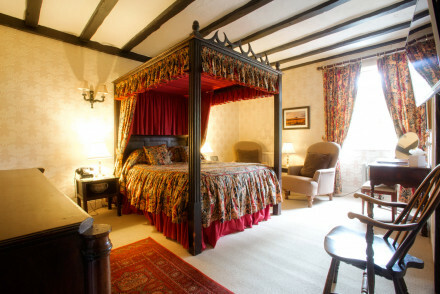 There are just nine luxurious individually designed rooms combining classic country styling and all the mod cons. Superb Devon sourced dining. Excellent on-site activities. Great walks - Make use of the Two Moors Way, suitable for all levels, you will not run out of terrain. Fishing - Take advantage of a dedicated fly fishing instructor & guide. Hideaway - With just nine rooms, Pashchoe is as intimate as could be. Sit-out Terrace - Wonderful terraces with sunloungers and glorious views of the harbour, estuary and out to sea. Parking - Cars are left on the hotel state of the art turntable and valet parked! 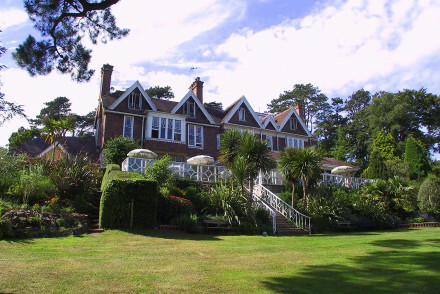 On a hill surrounded by gorgeous countryside on the coast of Exmouth sits the stunning Lympstone Manor. This Grade II listed Georgian country house hotel offers elegant accommodation and absolutely unbeatable cuisine. The ideal getaway from it all spot.